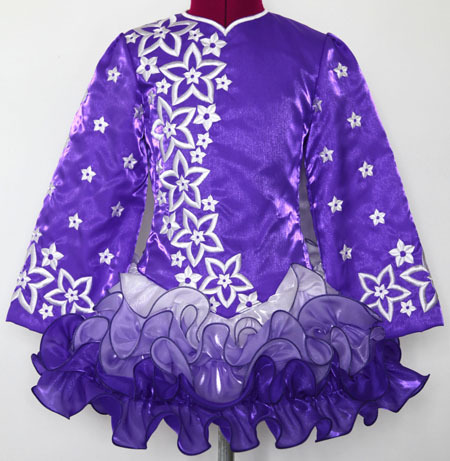 Centre front dropped waist to hem: 6½"
Centre back dropped waist to hem: 8½"
Total back length (top of zipper to hem): 23¼"
Purple twinkle satin bodice and sleeves featuring pretty white flowers in a modern asymmetrical embroidery design. 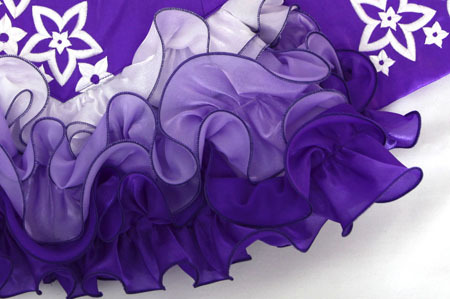 Adorable cupcake skirt ruffles constructed from white, mauve and purple twinkle satin with tone-on-tone trim. 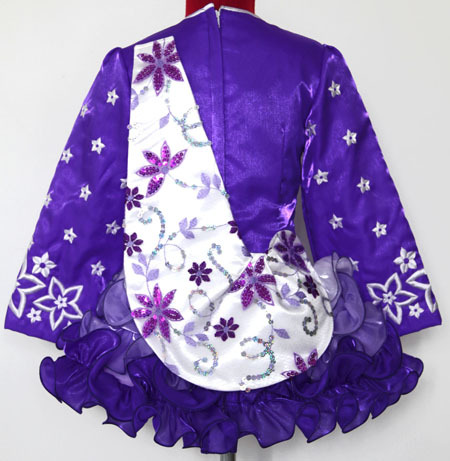 Soft style shawl constructed from sparkly purple and mauve floral sequin lace overlay. Fluoro pink and purple floral skirt lining.